Item # 293675 Stash Points: 1,999 (?) This is the number of points you get in The Zumiez Stash for purchasing this item. Stash points are redeemable for exclusive rewards only available to Zumiez Stash members. To redeem your points check out the rewards catalog on thestash.zumiez.com. 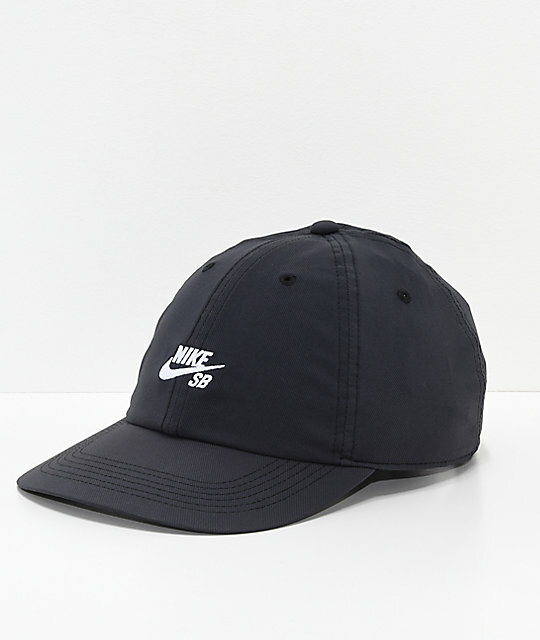 Subtle and classy, the True Cap black and white strapback hat from Nike SB offers a classic silhouette that is perfect for everyday wear. The six-panel unstructured crown features a special Dri-Fit construction that wicks sweat away from the skin and is finished with a white Nike SB logo graphic embroidered on the front. 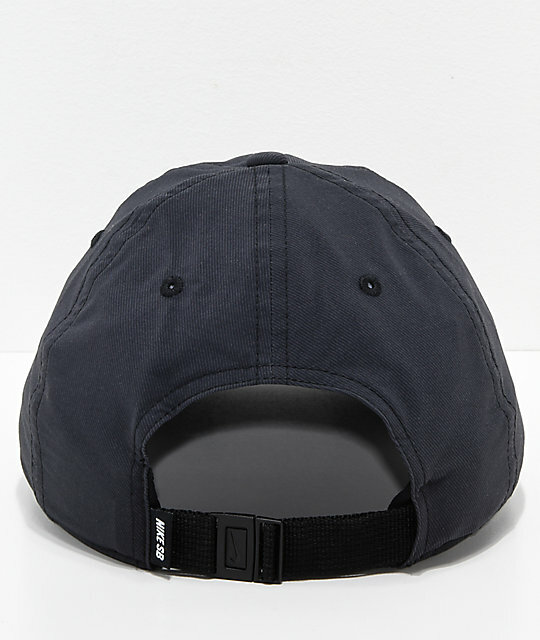 True Cap Black & White Strapback Hat from Nike SB. Embroidered logo graphic on the front. Dri-Fit construction wicks moisture away from the skin. 70% nylon, 24% polyester, 6% spandex.